Travel can bring unexpected events… usually good ones, but sometimes some not so good ones too. That’s why having travel insurance to cover the unexpected ones is so important. But who wants to stress over claiming on travel insurance due to illness or an injury, a travel insurance claim for cancellation, or a motor vehicle accident claim? We help by taking the big questions out of how to speed up the claims process. Your provider can explain what you and/or your travel companion are covered for. This helps avoid surprises or disappointments over what’s covered or not covered. You don’t want to find out your claim is denied because you didn’t know the coverage details. They can direct you to travel insurance claim forms online, or can send them by email, to get your claim going as soon as possible. 2. Keep all your receipts, big and small! For expenses being claimed, your insurance provider will always need proof of payment, so don’t forget to keep all original receipts together. You’ll need proof of travel dates too. 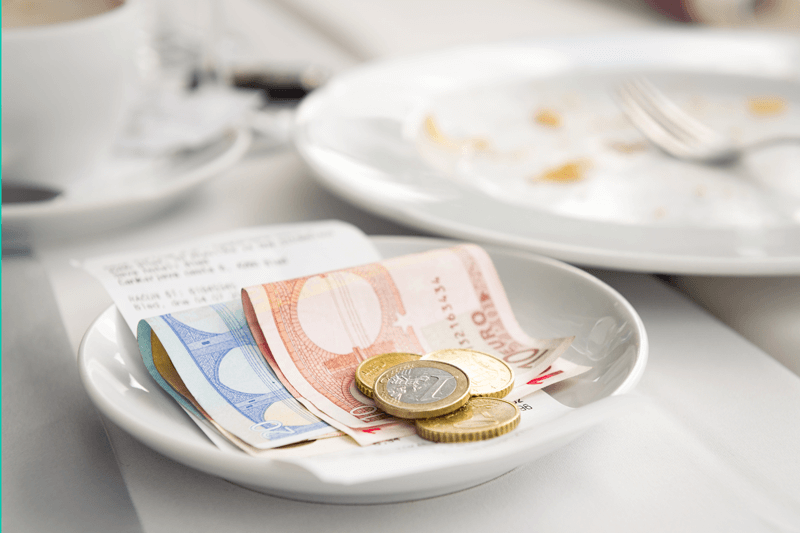 Tip: meal receipts (near the border or at the airport) can be used. Prescriptions must have the pharmacy receipt—the cashier receipt or credit card receipt isn’t sufficient. Foreign language bills should be translated for you, depending on the insurance provider. Keep all your travel receipts to ensure your coverage reimburses you for out-of-pocket expenses. Since the claims examiner wasn’t there to witness your emergency, it’s handy to write down what happened, while it’s still fresh in your mind. Provide some context for the non-medical bills you incur, so that the examiner doesn’t have to ask for more information down the line. Submitting a written timeline can help speed up the travel insurance claims process, especially when receipt details are included. If in doubt, call your insurance provider for help. Make sure you’ve provided your signature, everywhere required. Incomplete forms will be sent back and the file can’t be processed until all the paperwork is received. Ideally, submitting your claim in the first month will help avoid delays, even if you don’t have all the bills yet. In many cases, your insurance provider will be able to request the proper documents from the hospitals and doctors for you. The faster your travel insurance claim forms are sent in, the faster the claim can be processed. Note: there is a travel insurance claim time limit. If you haven’t sent in your claim forms within 90 days, the claim will be closed. It can be re-opened (up to one year from the emergency), but this really slows down the process! Navigating through a travel insurance claim doesn’t have to be stressful or confusing. Avoid lags and issues by contacting your provider as early as possible, and asking for guidance when you need help. Have more questions about your claim? We answer your top 5 travel insurance claim FAQs and how unstable pre-existing conditions impact claims. Alternatively, leave a comment below or tweet us @TuGoInsurance. Thanks for these super helpful tips, Catherine! If my family or I ever have a claim, I’ll know what to do! Excellent post Catherine! Your tips will reduce a lot of the stress for travellers and insureds! 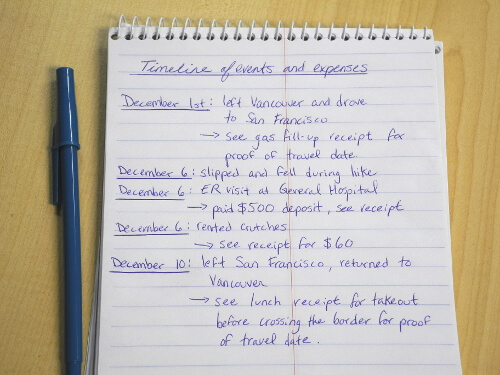 What a brilliant idea the timeline of events and expenses is! Awesome!! Very important to know! Very helpful tips! Thanks for sharing, Catherine!